A simple google news search is enough to see the stark contrast between the security situation in Libya vs. what’s happening here in Tunisia. Unlike Libya, we’ve been fortunate in terms of general safety & security issues. Still, Tunisian security officials remain very concerned over the situation in Libya. As expats, it’s easy for us to ignore regional challenges and become complainant with our immediate environment. The situation in Libya has and will continue to impact Tunisia. The UK’s foreign travel maps are another good example of the disparity. 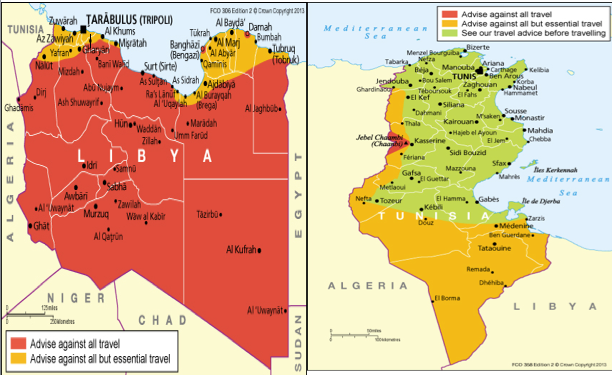 If we use the red as an indicator of general safety & security; Tunisia is much safer. 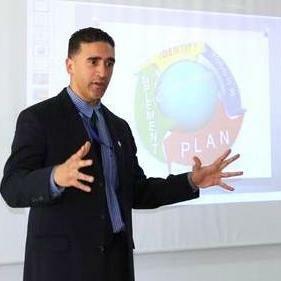 Recently, Tunisian Minister of Foreign Affairs stated that the crisis in Libya is an “internal problem for Tunisia.” I couldn’t agree more with him and we are already feeling the impact. On the ground, more resources are being diverted towards the border in an effort to combat many threats spilling over from Libya. As expats it’s important the we connect with our community (both local & expat) and follow regional developments. Let’s keep sharing information and thank you for all your support.